A National Trust membership entitles you to a 50 per cent discount to the former home of the famous English Dictionary compiler, Dr Samuel Johnson. While not a National Trust property, the Georgian building, located in the City of London district, is supported by the trust. And here’s the thing. While the National Trust is the largest charity in the UK with five million members – looking after 300 historic houses and 144 accredited museums – Ms McGrady understands that it cannot thrive in splendid isolation. It needs to be more relevant and involved in the conservation of not just its own heritage but the heritage of the country in general. Further to this, she says, it should be doing this in towns and cities as well as in the countryside. Ms McGrady’s first memory of the National Trust was as a 16-year-old Northern Irish schoolgirl on a trip to a trust property and being blown away that there was an organisation that safeguards heritage for the enjoyment of everyone. Now, taking the helm of the National trust after spending 12 years at the organisation (most recently as its chief operating officer), McGrady wants the trust and its staff to be more influential when it comes to preserving buildings threatened by funding cuts and possible demolition. In Birmingham, for example, the trust has joined a coalition formed to seek a sustainable future for Moseley Road Baths, a Grade II* Edwardian baths that faced an uncertain future due to council cuts. Offering its expertise and a helping hand, the trust is not seen as an overwhelming presence in the project, but as a partner with clout. It also means that its staff are engaging with the local community in its own backyard. Something McGrady is extremely enthusiastic about. 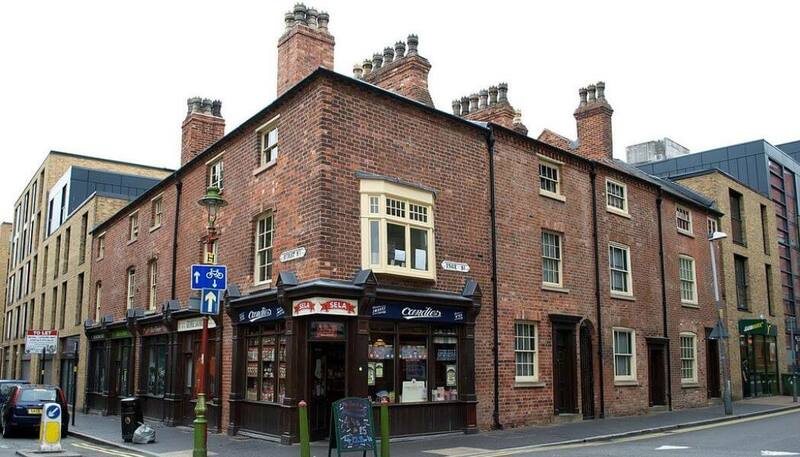 The trust already owns a property in the city centre: The Back to Backs dating back to the early 19th century, which was restored by the Birmingham Conservation Trust (also behind the Coffin Works) and now operated by the trust. And McGrady did not discount that moving forward the trust could directly support similar projects. Today she joins the newly formed, government-led Heritage Council, along with key members in the sector, which aims to be a link between the UK’s heritage and the wider regeneration and placemaking agenda, as well as ‘helping government to best support the heritage sector’. After speaking to her in an informal setting, I can see that she is keen to be part of the conversation to protect and preserve Britain’s heritage for future generations in a broader sense, while also ensuring the National Trust is a key player. The National Trust has been shortlisted in the Temporary and Touring category at the Museums + Heritage Awards for its Prejudice and Pride programme celebrating its LGBTQ heritage.